Click the button below to add the Anti-Aging Eye Cream to your wish list. The skin around your eyes is fragile, delicate and susceptible to damage, which can increase the chance for fine lines and wrinkles with improper care. Our ultra-gentle Anti-Aging Eye Cream reduces the appearance of wrinkles instantly, works overtime to lessen the look of fine lines and helps fade the look of stubborn crow's feet. Olive Squalane Oil is one of nature’s wonders as it can replenish the nutritive levels of lipids to promote youthful skin. Omega 6 from Black Currant Seed oil increases hydration along with tannins from Borage Seed oil gently tighten and firm away fine lines. This eye cream instantly works to restore, hydrate, lift and brighten skin around the eyes gently and safely without the use of harsh chemicals. Smooths fine lines, wrinkles and softens skin to look nutritively younger. Made without artificial fragrances, artificial colors, alcohols or parabens. This eye cream lessens crow's feet and fine lines for a more youthful and healthier appearance. Aloe Vera Leaf Juice alleviates, hydrates and softens dry, scaly skin. 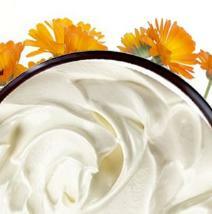 Rosehip and Black Currant Seed oils are vitamin rich, lightweight moisturizers. Evening Primrose Oil is high in fatty acids, which treats skin by reducing redness, firmness and roughness. 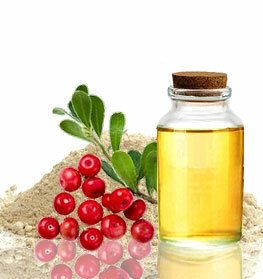 Jojoba has high antioxidant properties that protect skin from free radicals. Use the eye cream daily as needed. • Can be applied in the morning or at night. • Lightly pat cream into the eye area. • Apply a cool ice pack underneath the eye area to reduce puffiness. Rosa Damascena (Rose Hydrosol), Aloe Barbadensis (Aloe) Leaf Juice, Rosa Mosqueta (Rosehip) Fruit Oil, Oenothera Biennis (Evening Primrose) Oil, Camellia Oleifera (Camellia) Seed Oil, Borago Officinalis (Borage) Seed Oil, Squalane (Squalane Olive) Oil, Ribes Nigrum (Black Currant) Seed Oil, Caprylic/Capric Triglyceride (Coconut Fractionated) Oil, Butyrospermum Parkii (Shea Butter) Fruit, Simmondsia Chinensis (Jojoba) Seed Oil, Myrica Cerifera (Bayberry) Wax, Cetyl Alcohol, Glyceryl Stearate, Sodium Lauroyl Lactylate, Glyceryl Caprylate, Citrus Sinensis (Orange) Peel Oil, Caprylyl Glycol, Glycerin, Tocopheryl Acetate (Vitamin E). You gotta try it. This is the most hydrating eye cream that firms quickly and smoothes the skin without feeling heavy. AH-mazing. I can't wait to see the long term results of this fantastic, nutritive new eye cream. I am 39 and starting to see the small under eye lines and this cream is GREAT!!! It helps with the early morning puffy tired eyes.....will purchase again! I have tried MANY eye creams, serums, in all price ranges and have decided this is one of the best. I think the price is reasonable compared to what some others cost. It absorbs quickly but definitely softens and smooths. I could definitely tell a difference almost right away. This nutritive eye cream product is divine. Glides on the skin, and the eye area immediately looks smoother. Lovely day and night. New favorite eye cream. The skin around your eyes is very thin, delicate and susceptible to damage which can increase fine lines and wrinkles if not properly cared for. Ultra-gentle, this eye cream reduces the appearance of wrinkles instantly and works over time to reduce the look of fine lines and helps to fade the look of stubborn crow's feet. Olive Squalane oil is one of nature’s wonders as it is able to replenish the nutritive levels of lipids to youthful levels. Omega 6 from Black Currant Seed oil increases hydration along with tannins from Borage Seed oil gently tightens and firm away fine lines. Gently and safely without harsh chemicals this eye cream instantly works to restore, hydrate to lift and brighten around the eyes. just a tiny dab day or night, it works wonders on my skin! I started this cream 10 days ago. What a difference it makes! It feels so good...soothing and seems to lighten my skin a little. My skin feels moisturized and comfortable. A very little is needed and it has a very light sent. The ingredient list is fabulous! As a long time user of Clinique Anti-Gravity Eye Cream, I was convinced that nothing could really show noticeable results. Over the past year I have switched most of my household and personal care items to natural products and essential oils. The ingredients in this eye cream sold me and the outstanding results have guaranteed I will only use Just Natural for the rest of my life. I am 67 years old and not only have my crows feet almost totally disappeared before I have even used 1/2 of my first jar, but also my eyelids are smoother and more toned than I can remember them being in a very long time. Amazing! I love this eye cream. I am in my 60s and my crows feet and wrinkles would worry me when I would go out. I would try to wear makeup and it would accentuate my fine lines. I have used a bunch of commercial creams and lotions that would dry out my skin. I took a chance to on this cream and was pleasantly surprised. This cream has diminished my fine lines and crow's feet significantly. Thank you for this product. This is really nice, a little goes a long way. My skin around my eye feels so much nicer now. All natural products are important to me. This eye cream helps firm and diminishes fine lines instantly. I use daily and have seen immediate results. The cream is not heavy. Best part is you only need a little. This cream goes a long way. I love the texture of this eye cream. It feels so rich, almost like cold cream, yet goes on smoothly and blends in well. I can wear it night or day, under makeup. And it doesn't bother my sensitive eyes. I haven't noticed much in the way of wrinkle reduction or line smoothing, but I've only been using it for about a week. There's so much in the pot that it will last a while, but I will definitely buy again when it runs out. I've really been enjoying this eye cream. A little goes a long way and it's the only eye cream I've used that actually works well under my makeup. It's so moisturizing that I don't have that appearance of scaly skin under my concealer. Sometimes when I'm in a rush and forget to apply it with my face cream I absolutely can see a difference. My makeup doesn't look as good and it just doesn't have that hydrated appearance. I'm trusting the anti-aging properties will have long term benefits for my skin. Love it so much! !